When massive storms hit, we get religion. Superstorm Sandy was that kind of storm. States along the US East Coast emerged from the wreckage two years ago this week with a new devotion to creating a more resilient electric system. Where the central grid failed, microgrids kept the lights on. So government leaders, businesses, and even some consumers began asking, why don’t we have more of these? Thus began a rebirth for a technology that has been around for a century, but received little attention before. Since then, several states have crafted policies to foster microgrid growth. Large energy contractors, engineering firms, and project developers have entered into the space, along with energy storage, solar, software, smart grid and related vendors. Not a lot of new microgrids have been built yet, but the foundation is being set. Even the utilities – often the slowest to adopt new trends – are positioning. Just a few years ago utilities were still questioning if microgrid technology is safe, according to Peter Asmus, principle research analyst with Navigant Research and author of Microgrid Enabling Technologies. Utilities are asking: How can I play a role in the market? Microgrid growth looks a lot like solar did a decade ago. Some utilities were slow to invest in solar and missed out on its meteoric rise. Chastened, a growing number are intent on moving ahead more quickly on microgrids. Since 2012, “the number of utilities that I can talk about doing something with microgrids has more than doubled in the US, and has probably tripled,” said Asmus, who is now preparing a report on utility distribution microgrids, which Navigant Research expects to release before year’s end. Central Hudson Gas & Electric has made a particularly interesting move. The New York utility wants to design, build and operate microgrids at the request of customers, who would pay a fee for the service on their utility bills. The proposal is under review by the New York Public Service Commission. For those unfamiliar with the heavily regulated power industry, the market’s pace may seem slow. It is an industry that operates under a notoriously measured pace. The biggest players – utilities – move cautiously. And for good reason. Utilities must justify their investments, typically after the fact, to state regulators in order to recover costs. Private power companies act more quickly, but also with care, often gauging each step against the emerging government rules, policies and incentives that can make or break an energy technology. So given these circumstances, government often heavily influences early market growth. States, in particular, act as first drivers for many new electricity markets – and driving toward microgrids they are, at least along the coasts. Connecticut started exploring microgrids even before Sandy. The state was walloped a year earlier by Hurricane Irene and a freak October snowstorm. Both caused widespread and lengthy power outages. So it’s not surprising that it was Connecticut that constructed the Northeast’s first state-funded microgrid, a project unveiled in May at Wesleyan University. 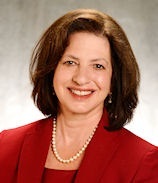 The microgrid was one of nine that won funding in Connecticut’s first microgrid solicitation, which offered $18 million last year. This year, the state issued a second RFP that resulted in $5.1 million for two projects, one being built by Schneider and the other FuelCell Energy. In all, the state has granted about $23 million for 11 microgrid projects from two solicitations. A third one is in planning. But New York, is perhaps, the most interesting state to watch because of regulatory changes contemplated through Reforming the Energy Vision, or REV. Now before the state public service commission, REV is expected to heighten the market standing of microgrids and distributed energy resources. Governor Andrew Cuomo, who appointed Zibelman, also has been pushing microgrids through the state’s resiliency programs. Among other things, the state is planning a $40 million competition for community microgrids, called the New York Prize. The microgrid industry’s prospects depend not only on utility interest, but also utility willingness to cooperate with independent developers. How easy or hard utilities make it for independents to install and interconnect microgrids will vary from state to state. Regulators can play a hand by instituting the right carrots and sticks for utilities. Connecticut tried to resolve the franchise issue by passing a law that allows construction of such multiple-load projects by municipalities. But even with that, issues are arising in the state over utility jurisdiction, according to Asmus. “Utilities are still trying to figure out where does their ownership end and where does the other entity’s begin. 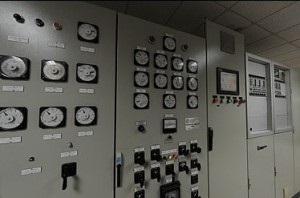 So you still have issues to be worked out,” he said, pointing out that despite Connecticut’s financial support for microgrids, only one state-funded project is operating so far. New York utilities seem more amenable to microgrids, particularly in the city, where there is no room to build a centralized power plant. “So Con Edison (which serves NYC) already has a number of microgrids operating in its service territory,” Asmus said. Not influenced by Sandy, California regulators also are moving forward on microgrids, but in a different way than the Northeast. “In California, it’s more like microgrids are popping up in the absence of utility support. But now the public utilities commission has started a proceeding called distribution resource planning. The goal of it is to allow utilities to procure microgrids just through standard regulatory proceeding,” Asmus said. Utilities would plan microgrids where they make the most sense for the health of the larger electric grid – where a need exists. This contrasts to a more customer-centered approach to microgrid development – where say a data center or research facility might build a microgrid to ensure its own supply. What’s become clear is that developing and interconnecting a microgrid is not a simple matter. It’s not just the regulatory rules or utility predisposition. The technology, itself, is more complex then say a rooftop solar panel installation. This complexity also translates into greater benefit. Microgrids offer more than just back-up power in an emergency. They can provide highly efficient electricity the rest of the time, thermal energy when they include combined heat and power units, and ancillary services (such as balancing and frequency) to the central grid. A big part of the story gaining traction “is the tremendous value microgrids bring the other 8,700 hours of the year when reliability is not an issue, in terms of thermal and economic efficiency, when integrated with an intelligent smart grid design and control system – and viewed as a solution to multiple host needs,” said John Webster, director of regulatory affairs for Icetec Energy Services. And, of course, government isn’t the only driver. Universities, research facilities, data centers, the military, and others have built microgrids for years – well before Sandy. These have resulted in several “one-off” systems, most likely to be found in areas where electricity prices are high, Asmus said. Princeton University is one of the most famous of the early microgrids. It has won accolades for its performance during Sandy. The storm hasn’t been forgotten; interest in microgrids is growing. Developers report many projects in the works, and high interest among communities, institutions, businesses and other hosts. Navigant Research sees the market growing from $4.3 billion in annual revenue to as much as $36.2 billion in 2020, under an aggressive growth scenario. Still, in terms of actual microgrids built as a result of Sandy, not many exist – yet. 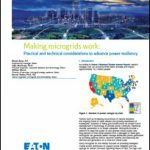 Learn more about the North American microgrid market from our new report, The Energy Efficient Microgrid, downloadable free of charge courtesy of Solar Turbines and the International District Energy Association. It’s a shame it took a Superstorm like Sandy to get the attention of policymakers. But it’s great to see so many policy and industry leaders taking meaningful steps to help up modernize our nations grid. Great article. Thank you!